Jun is born out of the project of creating a service that changes the modality of the dog's alimentation: An ehticaly correct product, sustainable, healthy and cost effective. Out of the food intended for human consumption that remains unsold in supermarkets, a nurishment is created that however maintains all the nutritional carachteristics for the animal consumption. 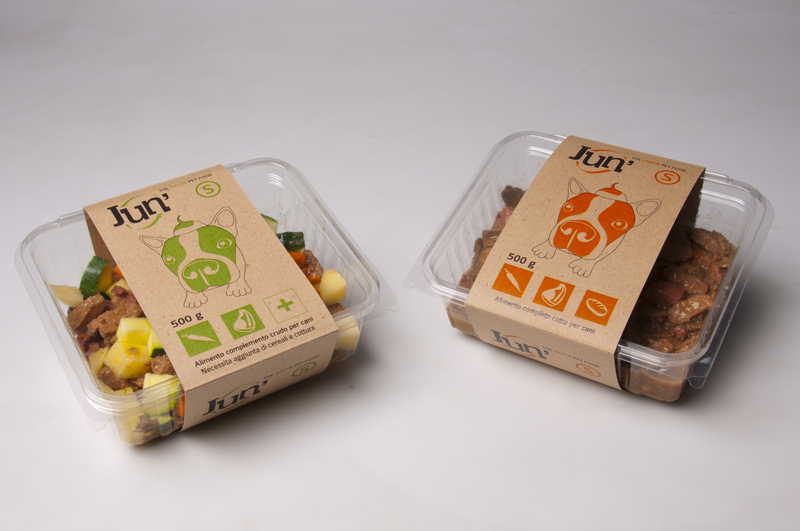 Jun's packaging wants to reassess the "waste" transforming it into a nurishment for domestic animals. The packaging constits in a resealable container and a wrapper that covers it partially. Particular attention has been payed to the selection of materials: The container is made of PLA, while the wrapper is recycled cardboard.